When 21-year-old Army wife Yesenia Ruiz-Rojo went to the hospital in Fort Hood, Texas-almost 4 months pregnant, seemingly healthy, but experiencing excruciating abdominal pain-doctors discovered a gigantic tumor covering more than two-thirds of her liver. She was diagnosed with aggressive liver cancer and given two to four months to live, reports the US Department of Defense. Just save my baby, she said. But as Raul Palacios, chief of interventional radiology at Brooke Army Medical Center at Fort Sam Houston, explains, "There was nothing out there we found in conventional medicine that would offer her any hope" of that happening. "We weren't aware of anything in the past that had been tried successfully before." Its size and location made the tumor impossible to remove, while chemo would likely kill the fetus. So experts from more than a dozen specialties decided to try a new treatment, called selective internal radiation therapy with Y-90. 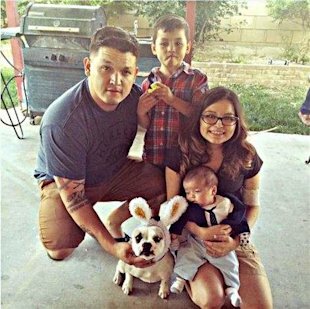 By placing tiny radioactive particles into the artery that feeds Ruiz-Rojo's liver tumor, they hoped to shrink or even kill the tumor, all with minimal risk to mother and baby.